All great success stories have humble and often troubled beginnings. But before a great success is born, there is a vision that inspires people to be a part of the journey. 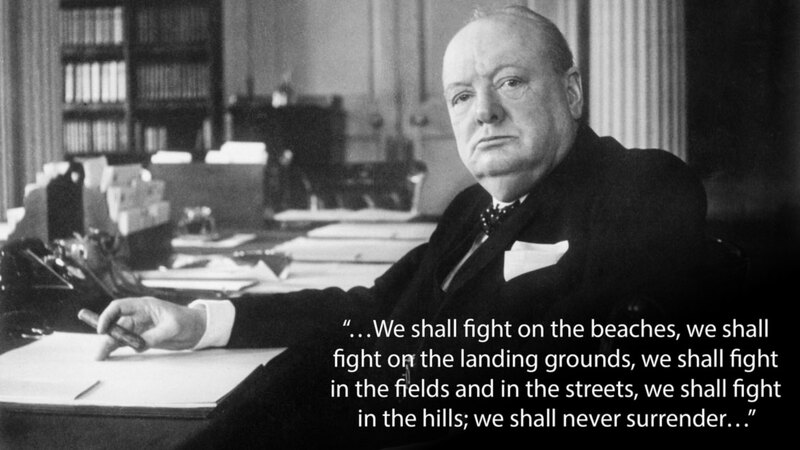 The British people, inspired by Winston Churchill’s vision and authenticity that day, would go on to spend their blood, toil, tears, and sweat to endure the Battle of Britain and ultimately achieve what few at the time believed was possible. Just like the people of Britain in 1940, your employees and investors thirst for a compelling story, a bold vision and an authentic message. By stripping away the clutter and jargon you can uncover the bold success story that lies at the foundation of your company. You can start by clearly stating what need your company addresses, what makes it unique and your vision for future success. And you must do this without drowning your audience in detail. What Problem Do You Solve? What Need Do You Address? Some call it a mission statement. Some call it an elevator pitch. Whatever you call it, your first step is to summarize what need your company addresses or what problem your company solves. And you need to do it in one succinct sentence. If you find yourself stuck you might be overthinking things. We enable active lives by fusing world class design and fabric technology to create the world’s most comfortable and attractive apparel. You need to be specific, you need to be bold and you need to speak to the thing that differentiates you from everyone else. This is the foundation for every communication produced by your company. If you fail to clearly define your company, then every other message you create will sound contrived and inauthentic. Yet 75% of them will die within one year and 92% of them will die within 5 years. Using statistics like this is a powerful way to impress upon your audience the size of the problem you seek to solve. How is Your Company Unique? I said “bold” right? You can almost hear the mic drop after you read GE’s mission/vision. Their statement is bold, vital and challenging. They clearly define what differentiates GE from other companies. What makes it even more impressive is that GE operates in many different industries. The more industries you operate in, the more difficult it will be to come up with a compelling vision that ties these industries together strategically. Most companies operate in a single industry, which makes things much easier. If you’re one of these companies, you can accomplish wonders simply by talking about your specific role or niche in the industry vertical you are in. Vision – How Do You Define Success? One of Stephen Covey’s seven habits is to start with the end in mind. So what will your company look like five to ten years from now if it is successful? The long-term definition of success differs between companies. Whatever long-term “success” looks like to your company, you need to define it clearly and succinctly. This is often expressed as a company’s vision. That said, if you’re struggling to come up with a vision you’re not alone. The number of fortune 500 companies that articulate a tangible vision/mission is frighteningly low. In addition, a Benchmark of Fortune 500 Vision and Mission Statements published by Kasowski et al. demonstrates how horribly uninspirational most companies are. To be the best company in the world in the eyes of our customers, shareholders, communities and people. The challenge of coming up with a compelling vision may be the reason why vision statements are often underwhelming. In addition, it may also be the reason why the number of companies using them has dropped precipitously in recent years according to a study by Bain and Company. Don’t take your queues from companies that are failing to be visionary. They are missing out on a powerful opportunity to inspire their people. If you’re stuck it’s ok. Your leadership and communication teams are probably too close to the company and its own internal language. As a result they cannot effectively step back far enough to speak in lay terms. If this is the case, seek the help of an outside communications consultant. Outside communication professionals bring a fresh perspective. In addition, because they are not influenced by your company’s internal language they probably represent the most efficient and effective way forward. You have distilled your great success story. Now ensure that it is consistently deployed throughout your company’s media to inspire your audiences and stakeholders to be a part of your journey.